Canterbury City Council sought a development partner to regenerate a council owned car park in the heart of Herne Bay. Following an intensive OJEU process Coplan, in partnership with Denne Construction, was selected as the preferred development partner. Entering into a development agreement, the team progressed the design while operator interest was established in the scheme. 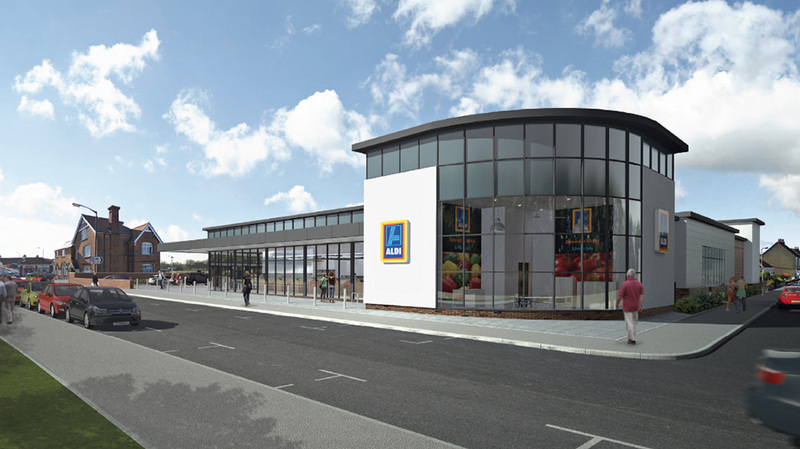 The Aldi foodstore completed in late 2016 and we are now looking at Phase 2 options in the town centre.